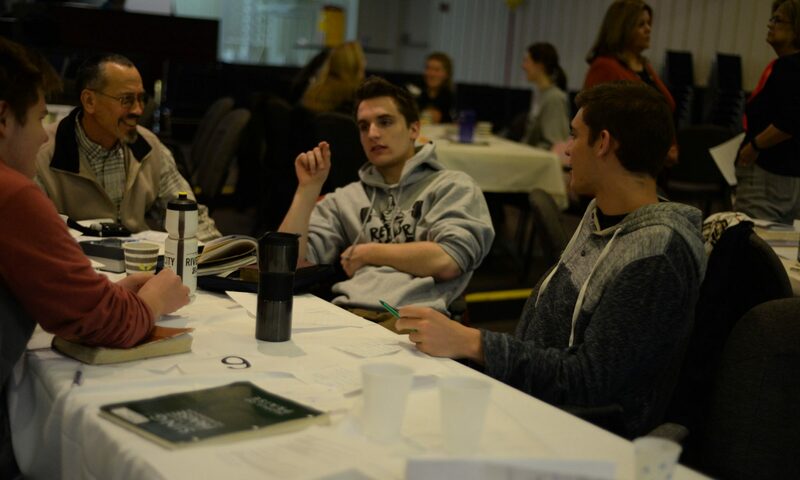 Morning sessions included general talks and discussion. 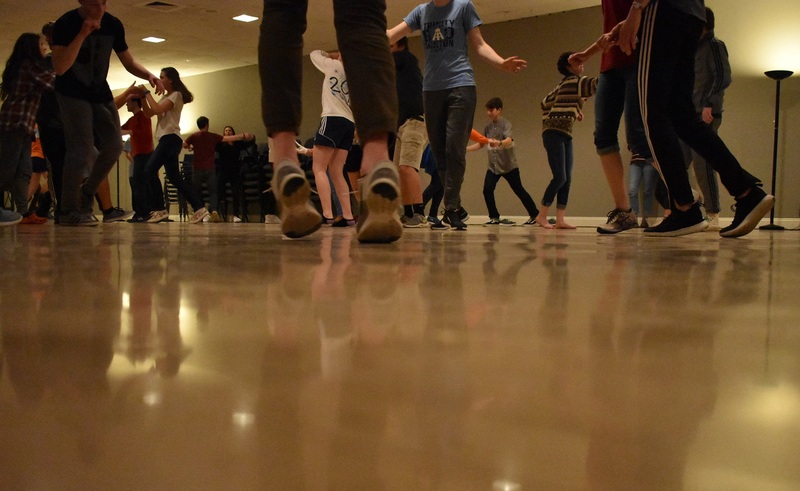 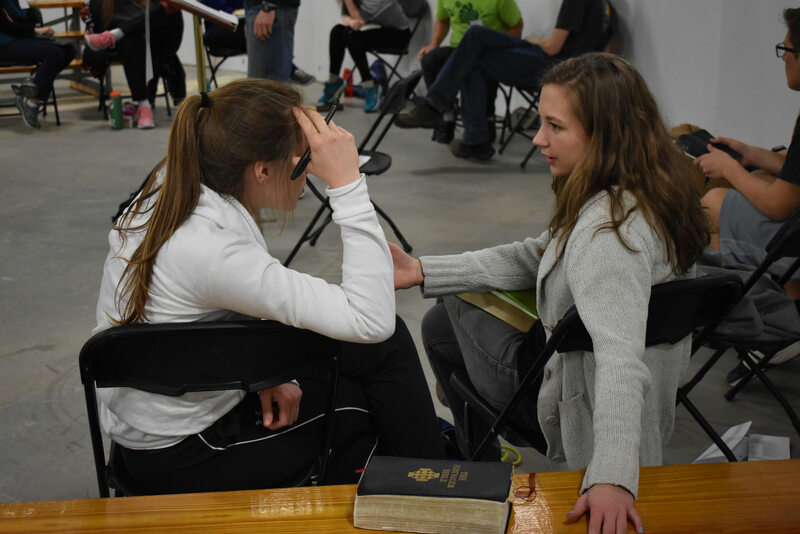 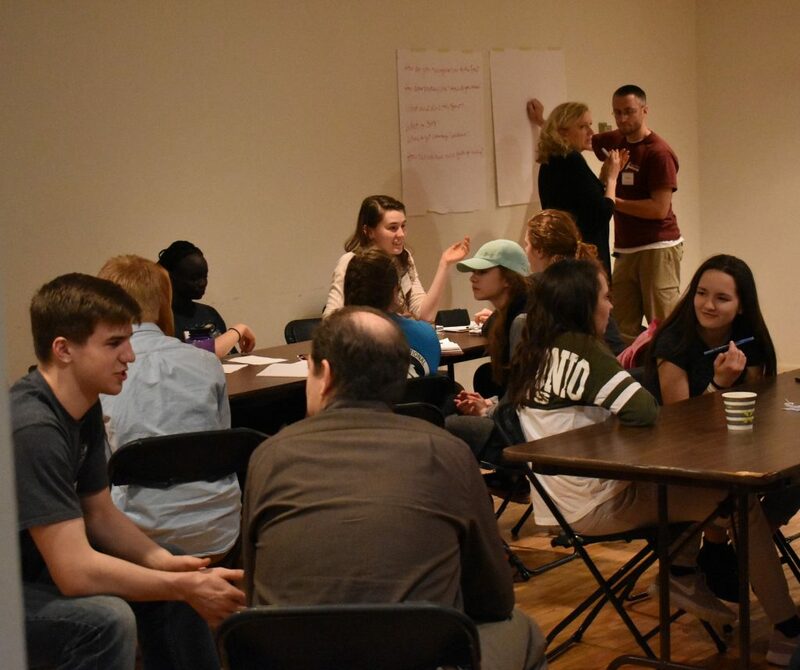 The 2018 Action conference aimed to address, as one participant put it, “universal questions that all teens have been asking themselves”—questions about friendship, God and how to take effective action during the school year. 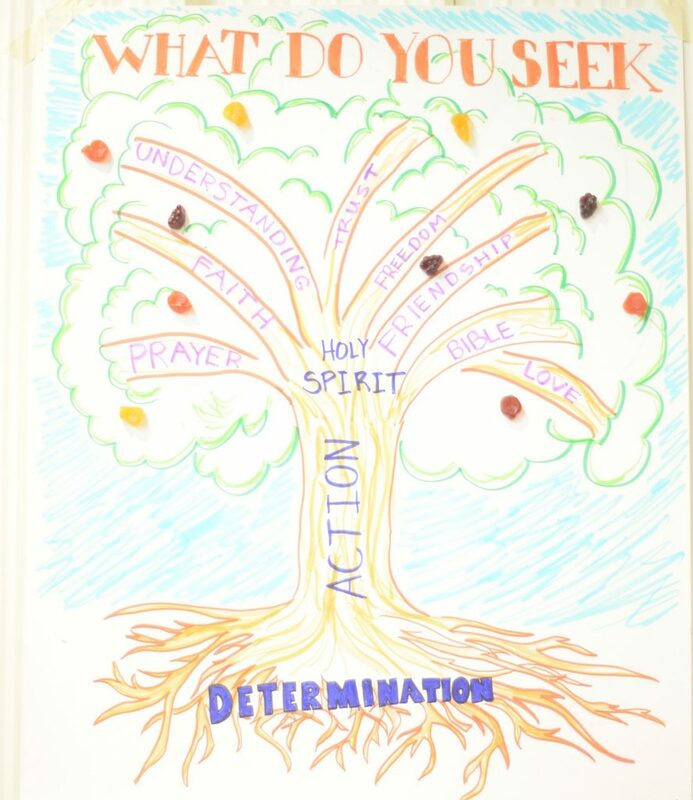 On Saturday afternoon each discussion group created a poster to help themselves grasp and remember major themes of the conference: growing in friendship with one another and the Lord, and taking responsibility for concrete steps to answer the Lord’s call on their lives. 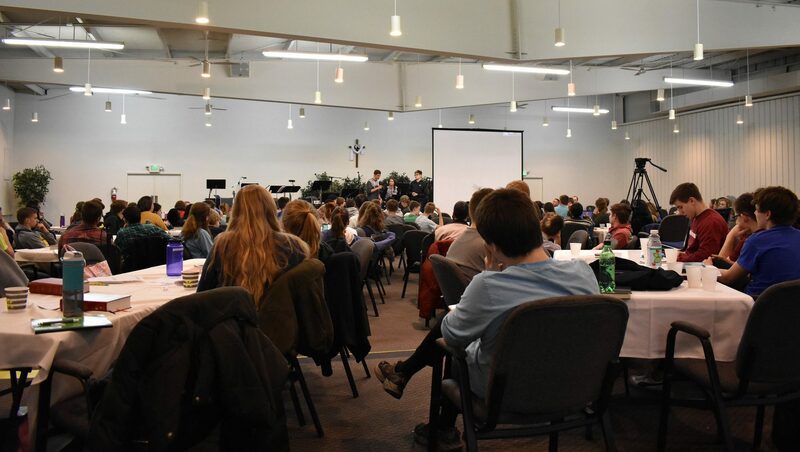 The conference’s talks, discussion groups, prayer times and practical workshops aimed to help the students get unstuck, addressing topics such as friendship, self-control, determination, the Good News, praying through the Bible, fixing relationships, scheduling, making college decisions and maintaining faith in college, and the ultimate key to effectiveness, the Holy Spirit. 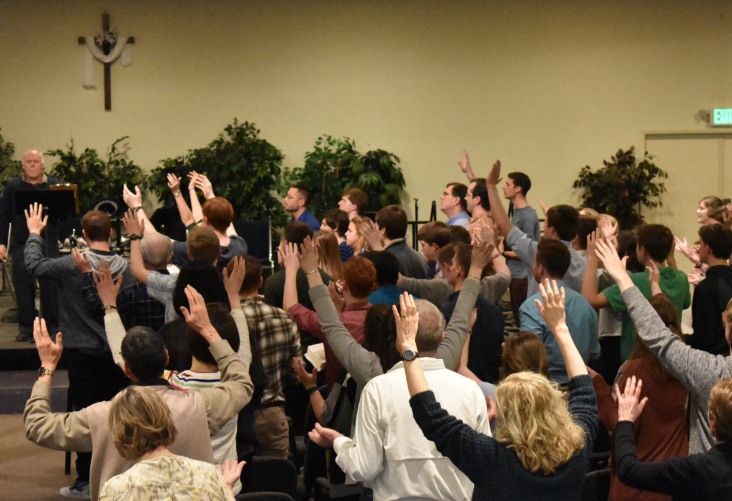 Saturday evening closed out the conference with a prayer meeting. 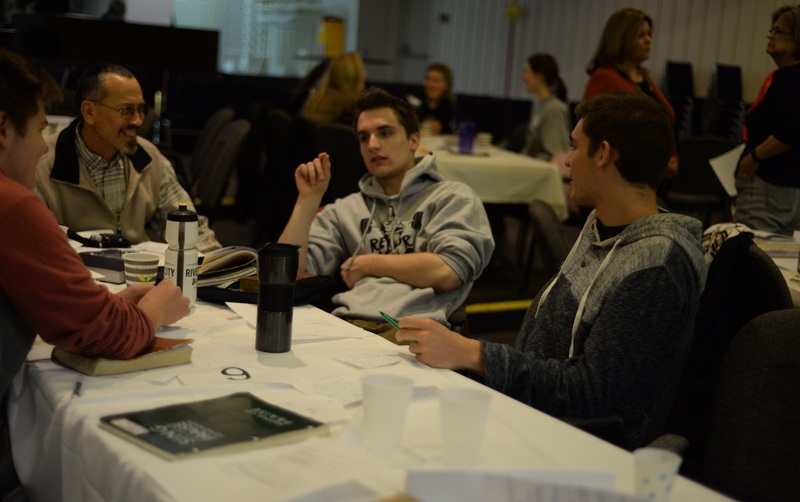 A workshop on reading the Bible led by Nick Holovaty (Mission, Evansville). 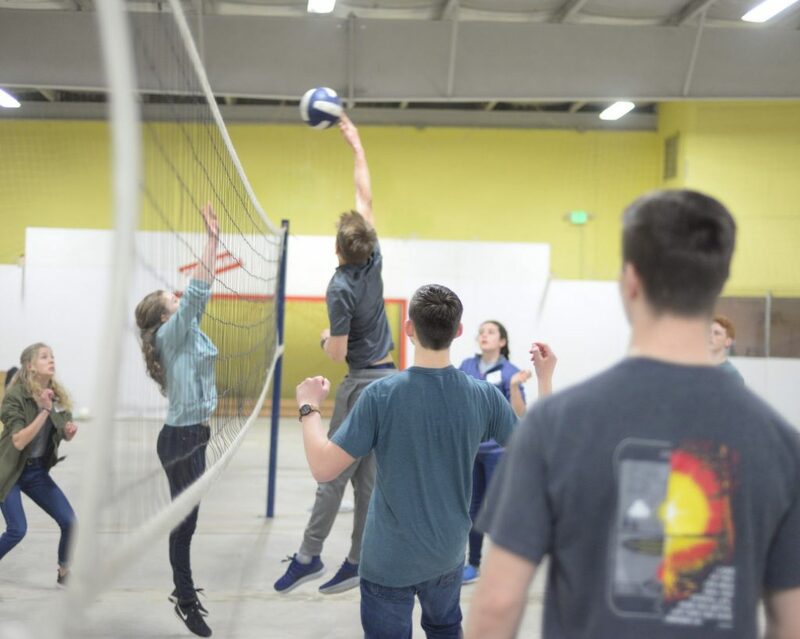 Participants squeezed in time for basketball, volleyball and ga-ga ball whenever they could. 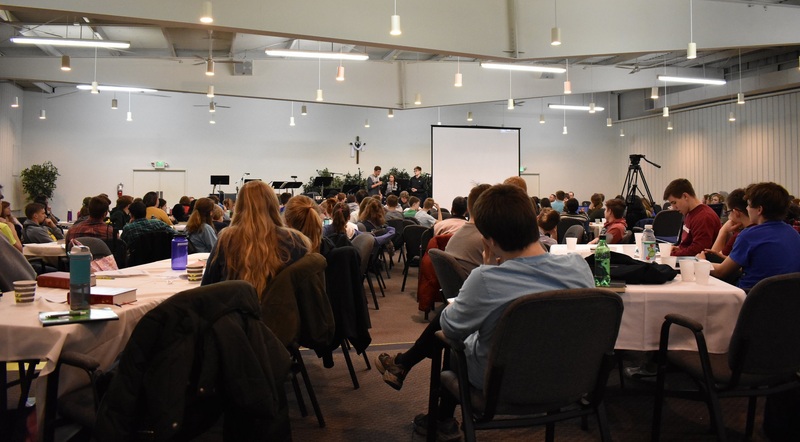 Workshops, such as this one on the Gifts of the Spirit led by Chris Vieck (Mission, Evansville), were held in the afternoons on Thursday and Friday. 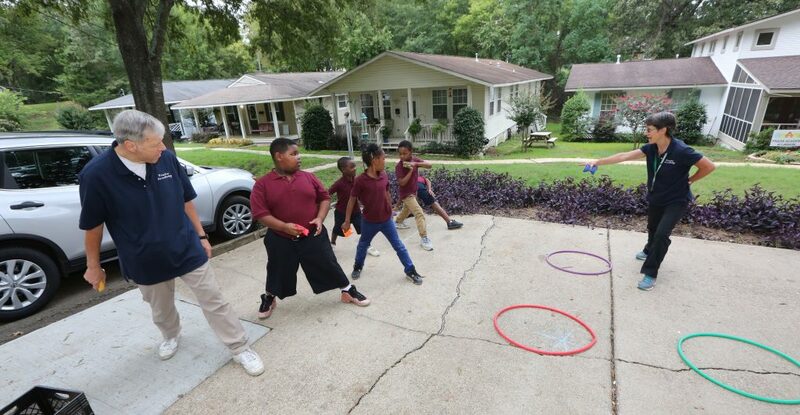 Afternoons included reports from Action and mission efforts around the country. Friday evening featured swing dancing.